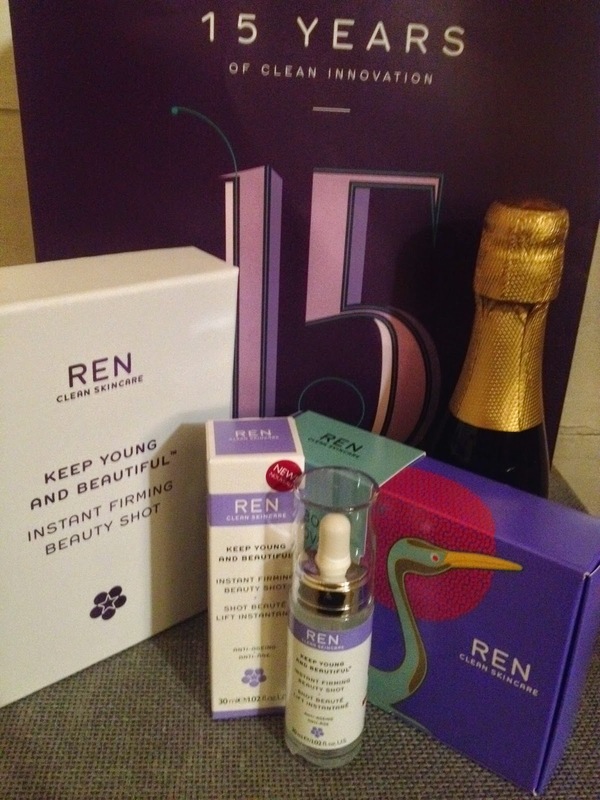 Ren Cosmetics is celebrating 15 years in the beauty industry and they are launching their innovative anti-ageing product - the Keep Young and Beautiful Firming and Smoothing Serum aka Beauty Shot. The Beauty Shot is a rose scented, quite thick, gel-serum containing hyaloronic acid which firms and plums the skin instantly by binding the water to the skin. It can be applied under your moisturiser in the morning and evenings and it can be also worn over your foundation during the day for an instant pick me up, just make sure to pat it on gently. The beauty shot absorbs very quickly into the skin and you only need a drop or two of the product, so its very economical. I had chance to put this beauty through a proper test ride: I was on a flight from Dublin to Manchester where I had to attend a seminar. The journey started at 3.30 am to 12.30 am next day- so after a 22 hours journey which included a bumpy flight and a snow storm - it's needless to say that I was dehydrated, exhausted and jet-legged and I looked every bit if it. If that wasn't enough, I had to go back to work at 9 am the very same day. ( I know poor me!) As I had received the serum the previous day, it was sitting there on my night drawer, begging me to use it that night. So I applied a generous layer and immediately I could feel my skin tightening only few minutes after the application. The shocker was the next morning though; I woke up with a glowing skin and my skin felt so smooth and plump and I had a more relaxed and rested appearance. And, it doesn't stop here, my fine lines were literally invisible. No kidding! And this after all I've been through the previous day! Now to the science bit: the beauty shot contains hyaluronan 1 from Yeast Biofermentation to instantly firm and smooth lines and wrinkles, hyaluronan 2 from Yeast Biofermentation which firms and remodels over time and phycocolloids from Microalga that plump from within giving the skin lasting hydration and comfort. It provides both short and long term optimal hydration. 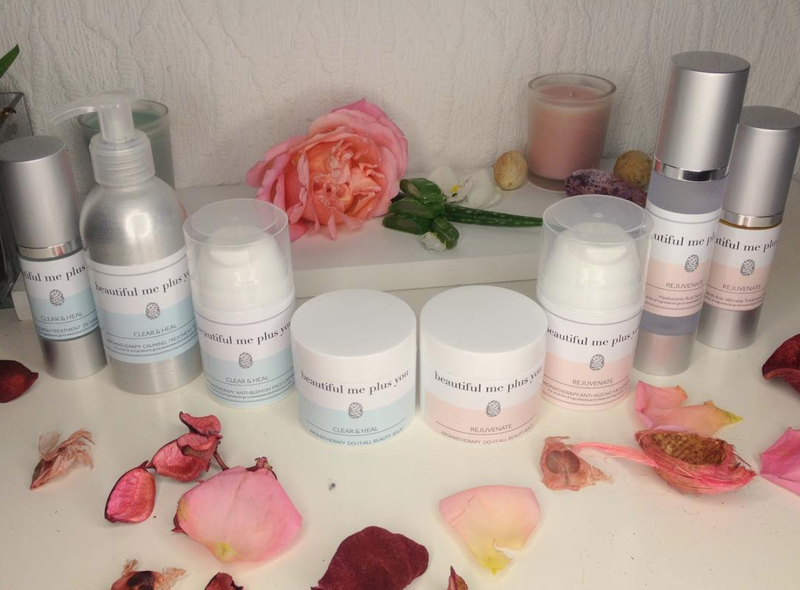 So far I like to use it best under my rose hip oil to deeply hydra quench and nourish my skin. I have a combination skin and this serum is suitable for all skin types including the sensitive skin. What do you think of Ren's Beauty Shot? Have you tried it? Did you like it? Let me know!